Liposuction, Lipoplasty, Liposculpture Suction Lipectomy or simply Lipo involves removing excess fat from certain areas of the body. New advancements in medical devices and new surgical techniques, has made possible for cosmetic procedures like liposuction to use ultrasound to facilitate breaking up the fat. The lipolysis portion (pretreatment) of the fat is accomplished by ultrasound technology and then traditional lipo is used to extract the fat. The advantage of ultrasound lipo is to break up thick and fibrous tissue for areas like the gynecomastia in the breast. VASER LipoSelection – Using Ultrasound technology called ultrasonic, fat can be permanently eliminated in trouble areas like the abdomen, thighs, back, flank and neck with minimal downtime and less pain than traditional liposuction. In Vaser Lipo, local anesthesia can be used, and the skin gets tightened through coagulation. VASER® is an acronym for Vibration Amplification of Sound Energy at Resonance. This minimally invasive is based on previous ultrasonic liposuction from the 1990s. FDA-approved in 2001, Vaser Lipo is the 3rd generation device that has found its use in body fat contouring surgery. This is a more gentle and comfortable option for liposuction patients. The original plastic surgery procedures use small incisions where a cannula was inserted into each incision and suction used to remove excess fat. With laser lipo, a fiber laser is inserted before the cannula is which helps to dissolve fat cells into a liquid substance that is easier to remove. This means that there is less discomfort from the suction portion of the procedure. This makes recovery easier. How Ultrasound Lipo VASER works? The area being treated is filled with special saline solution. The fatty layer expands, the area gets numb and blood vessels shrink for less bleeding. A small specialized probe or cannula disperses ultrasound energy vibrations as it bursts the wall of the fat cells, emulsifying (liquefying) the fat on contact for easy removal. Since blood vessels, nerves and connective tissue stay intact, smooth and tight skin retraction is achieved with Vaser. Vaser Hi Def Lipo allows fat removal for highly defined and athletic look not possible with traditional lipo. Where can Laser Lipo be done? Laser lipo is commonly performed on the abdomen, inner and outer thighs, upper arms, hips, back, flanks, buttocks, chin and the face. The most common place men receive the treatment in the chest. This new approach to liposuction is great for smaller or tighter areas of the body. This makes performing liposuction on smaller or harder to reach areas easy. Dra. Yaneth Prada Castellanos is a board-certified plastic and reconstructive in San Jose, Costa Rica with over 14 years of experience. Dr. Prada specialized in body contouring with Vaser Lipo to give you high definition look. 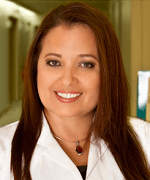 Dr. Prada has training in Costa Rica and Columbia, where she has training for Vaser Lipo under Dr. Alfredo Hoyos. She works in public hospital as a specialist for reconstructive surgeries. Dra. Prada is a Professor for the Postgraduate Program of Plastic and Reconstructive Surgery at the Universidad de Costa Rica. Dr. Prada works alongside Dr. Miguel Alfaro in the prestigious, private, JCI accredited hospital CIMA in Escazu, San Jose, Costa Rica. Dr. Daniel Camacho-Melo is a leading surgeon in the Tijuana area, with over 17 years of experience. Dr. Daniel Camacho is a member of the Mexican Association of Reconstructive and Aesthetic Plastic Surgery (AMCPER) and the International Society for Aesthetic Plastic Surgery (ISAPS). Contact us today to inquire in more detail. Dr. Hector Milla is a plastic surgeon in Mexico, aimed at providing high-definition plastic surgery. Dr. Hector Milla is a member of the American Society of Plastic Surgeons, Mexican Association of Plastic, Aesthetic and Reconstructive Surgery, and the International Plastic Reconstructive and Aesthetic Surgery Society. Laser lipo offers a shorter recovery time because the incisions are much smaller. There will still be some bleeding or bruises, though. Your surgeon can walk you through the entire recovery process so that there are no surprises. Results for laser lipo can vary depending on the area the procedure is being performed on and how much fat is being removed. Often this plastic surgery procedure needs to be combined with another procedure such as a tummy tuck to get the most optimal results. Your plastic surgeon can discuss a plan of action that will ensure your expectations are met post-op. Ultrasound Lipo has less pain, bruising, faster recovery and smooth results. The safety of the procedure depends on the amount of fat removed and the surgeon’s experience and skills. The American Society of Plastic Surgeons considers 5 liters of fat removed the safe limit. Some risks associated with Vaser lipo include infection, fluid retention, irregular contouring, scarring, blistering, and burns. This new procedure is being performed in the United States, Columbia, Mexico and Costa Rica. Patients travel to Latin countries like Mexico and Costa Rica for a safe and successful procedure that is more cost-effective. Having VASER done in Mexico and Costa Rica can be a very fruitful and safe medical experience. A medical accreditation agency is responsible for testing hospital aboard for both safety and efficiency measures. Their recommendations equate to a safe medical expertise. Work with a health travel agency to learn about qualified and reputable surgeons and hospitals for laser lipo. After choosing your doctor from their list of recommendation, you will have an initial consultation discussing your medical history, current medical conditions, concerns, questions, and expectations. This doctor will work directly with your American physician to determine a plan of action. From there, a cost will be shared with you. Most often this package that will include all surgery costs, the hospital stay, any medications needed, the cost of anesthesia, nurse visits, and any follow-up after the procedure. Travel to and from the location with your travel partner will usually be a separate expense, so plan accordingly. During this communication process, the surgeon will discuss with you which pre-operative tests are required before surgery. These tests will vary depending on the approach to your surgery as well as your past and current medical history. Also, if a patient smokes, they will be told to quit before the procedure as smoking can impair healing in the body.